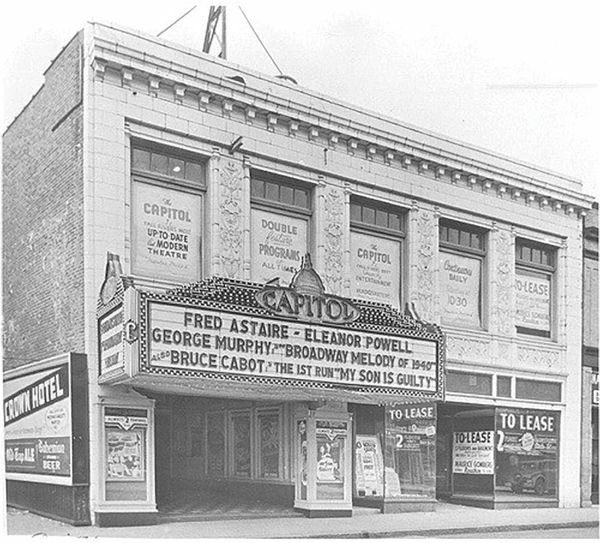 The Capitol Theater, which was recently purchased by Fatima Rodriques and Joel Benson. 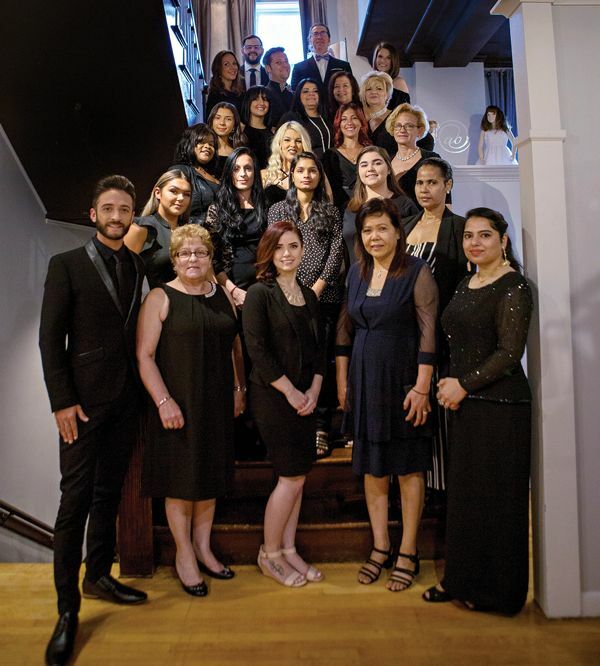 For Fatima Rodrigues, the 54-year-old owner of Alexandra’s Boutique in Fall River, Mass., that influence comes in the form of involved family and a loving fiancé, whose creativity, dedication and support have helped her 32-year-old bridal salon soar to new heights. Not only is Rodrigues’ oldest son, 28-year-old Zachary Leone, a partner in the business, handling all analytics, stock and back-end tasks, but her fiancé, Joel Benson, himself an entrepreneur, has had a tremendous impact on its success as well. For it is because of Benson’s encouragement and support, Rodrigues says, that she has found the confidence to indulge in some calculated risk-taking. 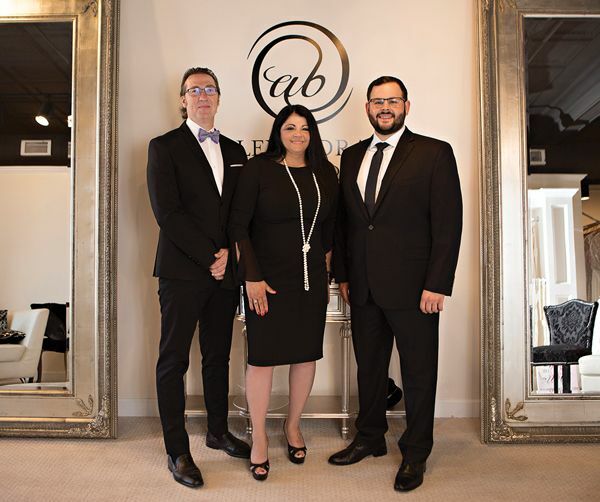 This has led to explosive growth and exciting opportunities, as well as allowed Alexandra’s Boutique to excel at two niches – prom and bridesmaids – that many salons struggle with. Growing up, Rodrigues made her own clothes. Her mother had given her a sewing machine when she was 8, and all throughout high school if she wanted a new outfit to wear to school the next day, she’d cut the fabric and make a jumpsuit or pair of slacks. “I’m a child from the 70s so you know wide pants were in and I had the widest, so it was really cool,” she says. Upon graduation, Rodrigues began working in the personnel office of a local mill, Quaker Fabrics. This lasted four years before her entrepreneurial urge kicked in. Her family had always owned businesses, and Rodrigues’ dream was to open a store. One day in 1985, the then-20-year-old drove by the perfect location – 340 S. Main Street – which happened to be in the corner of the biggest intersection in Fall River. She went home and told her dad: I found my boutique! She received his blessing – and financial support. Rodrigues had saved $25,000, which her dad matched. With this money, she rehabbed the store and purchased inventory. Initially her boutique sold dresses, clothes and jewelry, as well as bridal. In 1986, Rodrigues carried three bridal lines: Demetrios, House of Bianchi and Venus. It was the first year the latter had introduced dresses imported from China and based on a rep’s recommendation Rodrigues ordered three gowns. All was not perfect, however. For starters Rodrigues had signed a three-year lease at $900/month for 1,200 square feet, which was “ridiculous” in the 1980s, she says. As well, there were the critics who quickly honed in on her young age and lack of retail experience, predicting failure. Rodrigues, however, was determined to prove them wrong. Within 3 years, she had done just that, outgrowing her initial 1,200-square-foot space. Ever entrepreneurial she suggested her dad buy a building where she’d pay rent. He agreed. Rodrigues’ second location, 452 S. Main Street, was an 8,000-square-foot old house, which took about six months to convert into a three-level store. “I will never forget the day my dad walked through it with me in 1989 and said, ‘Honey. . . you’re never going to outgrow this store; you’re going to be here for years!’” she says. It turned out to be an inaccurate prediction. Not only was growth steady but eventually they ran out of room. By 2013, when Rodrigues decided to buy her current location, 372 S. Main Street, it was a choice of either go big or retire. Benson, now a central figure in her life, voted for the former. So the couple bought their present location, a 28,000-square-foot store, which they have outgrown in five years. Rodrigues’ key to success in those early days of the bridal business still rings true decades later: she was present. As owner, not only was she on the sales floor every day, but she was personable, knew the products inside and out, and did every bride’s fitting herself. Equally as important, however, have been three factors: store, selection and styling. 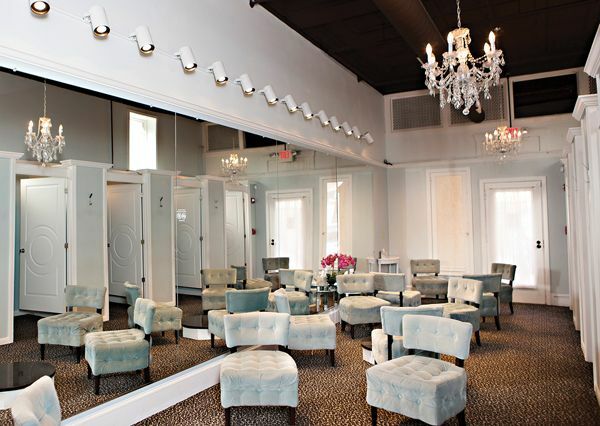 “Our salon is absolutely drop-dead beautiful,” she says of the 28,000-square-foot four-level former furniture store, which was built in 1920. 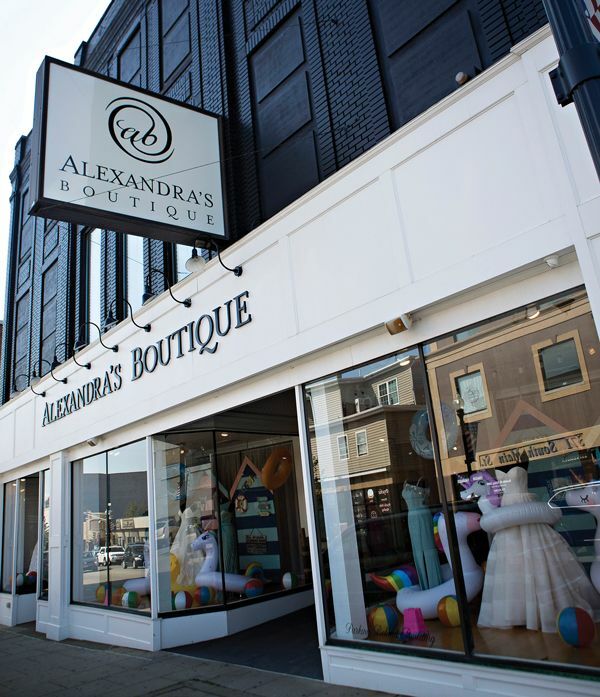 Alexandra’s Boutique is the second occupant and has taken great pains to preserve the building’s original look: keeping the old yet beautifully refinished hardwood floors, top-to-bottom painted tin ceiling, and five-foot wide staircase. However, all furnishings and accessories are modern, adding a cool twist. 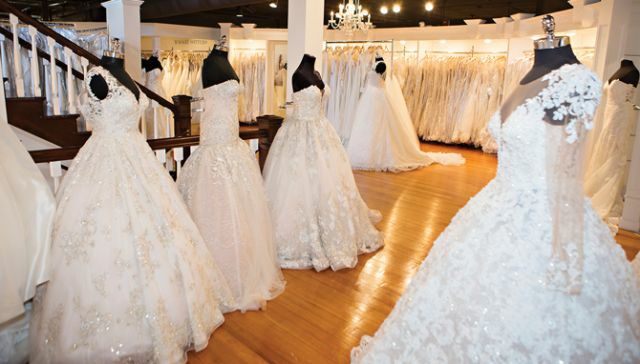 Amazing product selection helps too: the boutique has 2,500 wedding gowns in stock, starting at $1k and going up to $14k, offering something for every bride. As well they carry prom, bridesmaids, mothers, flower girls, social occasion, evenings, pageant and quinceañera. Finally, its 60 employees, half of whom are full-time, are true stylists. On top of this are the perks customers love – a glass of champagne when they say “yes” to the dress; pictures the salon takes and posts of them. 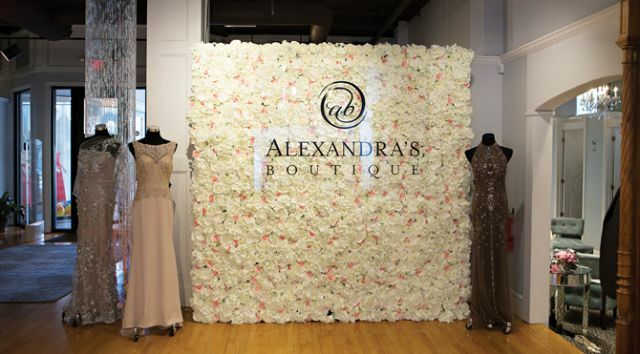 Alexandra’s Boutique has an unwavering commitment to customer happiness, viewing everything from the perspective of “What would we like when we are shopping?” To that end, they do a lot of focus groups, asking what customers need and how they need it. To ensure stylists stay on top of their game, in-store training is held every two weeks on a Saturday morning. One session might focus on bridesmaids, the next bridal. Staff are constantly training on products, trying on dresses, showcasing new styles and learning what they need to know about a particular dress. All employees have monthly goals; the expectation is at least a 70% closing ratio. Every sale is tracked, and a manager goes through numbers with each employee. If someone isn’t meeting goals that person is thoroughly retrained. Finding great employees can be challenging, Rodrigues admits. However, the secret to keeping them is more straightforward: work hard to ensure they’re happy. In addition to offering incentives, as well as medical insurance, disability, vacations and holiday pay, Rodrigues strives to provide a fun environment. Recently she had a staff cookout in the parking lot, complete with hot dogs/hamburgers, watermelon and ice cream. These fun little extras help with retention, she says, but ultimately one factor convinces most to stay. 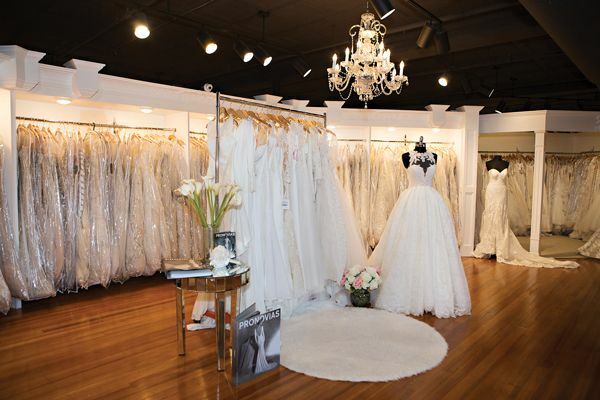 While bridal composes the bulk of Alexandra’s Boutique sales – approximately 40% – a significant portion of revenue is dedicated to two niches many salons struggle with: prom and bridesmaids. The former makes up about 30% of business; the latter 20%. Key has been analyzing numbers and buying the right size ranges. The first couple of years they bought mostly 10s and 12s, but in their area, 80% of prom business is a 00 to 6. As soon as they altered their buying pattern, they began cranking out dresses. 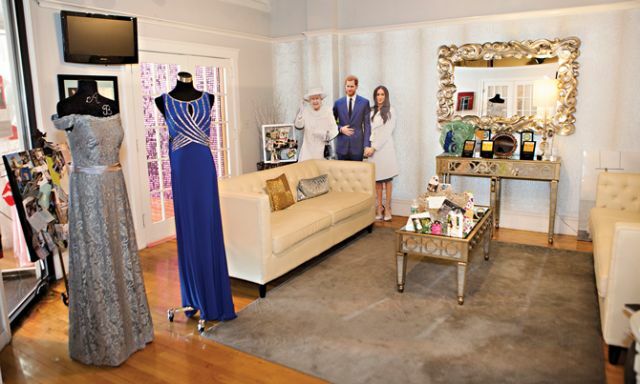 Additionally, Alexandra’s Boutique devotes a team of nearly 30 people to prom. “There is pretty much one person to every dressing room and that is critical because people want the same service they get in every other part of the business,” she says. As for bridesmaids? Rodrigues acknowledges she hears other stores complaining “all the time” about this niche, which she admits is one of the more challenging parts of the business, alongside marketing and catering to today’s attention-demanding customer. However, she wouldn’t dream of giving the extra revenue away. Speaking of business, e-commerce is a reality for Alexandra’s Boutique, where all inventory is live on its website. 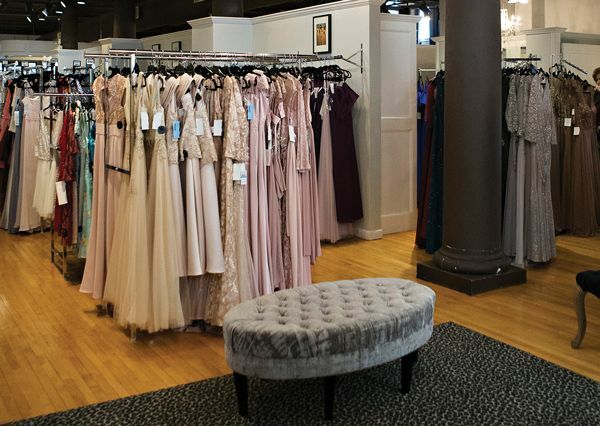 Online sales are mostly limited to prom, which sold quite well this season, and mothers because the majority of bridal customers prefer an in-store shopping experience. That said, brides looking for a particular gown can verify that it’s in-stock, which helps them shop. Bridesmaids are a different story. Currently this niche isn’t sold online because brides who buy from Alexandra’s Boutique receive a special discount and the store doesn’t yet know how to do that on the web. Joel Benson entered Rodrigues’ life 14 years ago after a Match.com introduction lead to a Starbucks/bowling/dinner first date, which lead to many more dates, and eventually a rewarding life and business partnership. Present day, Benson runs the prom store while Rodrigues handles bridal. He is there the entire season, selling dresses, talking to girls, conducting focus groups, and designing window displays. Speaking of creativity and making the business grow, there has been a lot of that lately. Despite thinking they’d never outgrow their current 28,000-square-foot location, an explosion in prom business – dress sales are up more than 15 times in six years – left the couple recently searching for a new space. The 16,000-square-foot Capitol Theater located next door to Alexandra’s Boutique wasn’t for sale. Rather the old playhouse, which opened in 1926, had sat largely vacant since shutting down in 1957. But that didn’t stop Benson and Rodrigues from approaching its owners and negotiating a deal. “It’s just amazing; a really cool space,” she says of the abandoned theater, which is actually comprised of two buildings. While one portion has been intermittently used for various businesses throughout the years, the 1,500-seat theater itself, located deep inside and up a staircase, has sat largely untouched. And history abounds. Not only are the aged ticket windows, wooden stage and palatial balcony still intact, but the projectionist’s booth looks like it could’ve been only recently abandoned mid-shift, littered with old cigars, faded ticket stubs and empty stained paper coffee cups from Harry’s Restaurant. The Alfred Hitchcock film “Rear Windows” still sits in the 35mm projector. Rodrigues was also drawn in by the fact the architect who designed this building, Maude Darling Parlin, was the city’s first female architect as well as the first woman to graduate from MIT. Rodrigues and Benson have owned the old theater six months now. Their plan is to restore it to its original 1920s glory, perhaps one day showing films. The rest of the space will become a prom superstore, located right next door to Alexandra’s Boutique. Rodrigues’ son Zachary is managing the build-out, which will also include a café/ice cream store in front. The next year will usher in many changes for Rodrigues and Benson. Not only will they be opening their new 16,000-square-foot prom store and café, hopefully by December 1, but they’ll also improve upon their existing e-commerce business. As well, they plan to expand their bridal salon, adding eight more dressing rooms and bringing the total of bridal suites to 18. As exciting as those plans are, however, it’s hard to top what’s lurking on the personal front. Every December, Rodrigues and Benson take a family vacation with her two sons. In 2017, the group went to Prague, Czech Republic. It was Rodrigues’ birthday, and after enjoying an awesome dinner in a great steakhouse, they went for a walk. Joel had gotten a horse and buggy, which Rodrigues thought was awesome. Light snowflakes were falling that night, creating beautiful winter scenery as they drove down the well-lit, storefront-lined street. It was there Joel got down on one knee and proposed in front of Rodrigues’ sons. Still reeling from excitement over their engagement, Benson and Rodrigues haven’t had a moment to plan their wedding yet because this new store build-out “has kind of taken over our lives,” she says. However, they’ll probably do a small, intimate destination wedding with immediate family, likely in Prague. “I really love that city; the energy is just amazing,” she says. Amazing energy also permeates back home throughout Alexandra’s Boutique, where the focus remains on getting through this next year.